That's Mr. Cooke Maroney-Lawrence to You! Congratulations to Cooke Maroney!!! The art gallery director is now engaged to Jennifer Lawrence, an unexpected and thrilling development that will surely lead to a surge in Google searches for “Who is cooke maroney” later today. 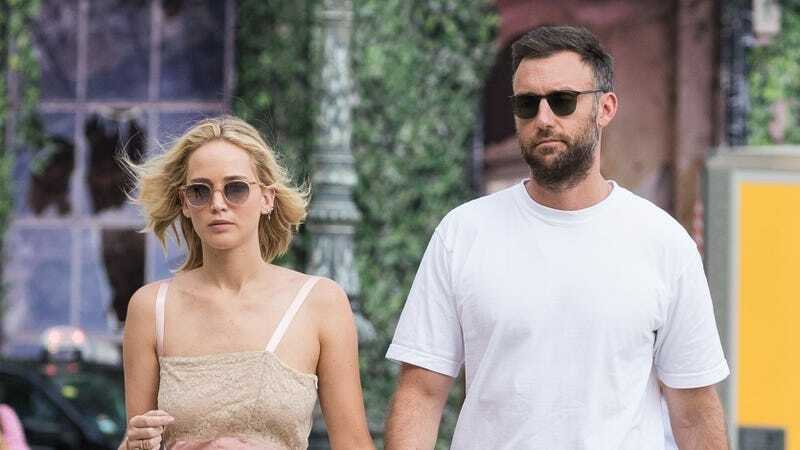 Word about the engagement first started bubbling up when Lawrence was spotted with a “very noticeable,” “massive ring” with a “giant rock” on her finger, according to a someone who saw the couple sharing a romantic dinner with Maroney at the SoHo bistro Raoul’s. Fancy!! The news was confirmed shortly after the ring was spotted. My mind is racing. I have so many questions left. First of all, has anyone checked on Darren Aronofsky? Second, why does Cooke Maroney have two last names? Will Lena Dunham, whose mother’s work is featured in one of Maroney’s galleries, apparently, be invited to the wedding? As soon as I know the answers to any of these, you’ll hear from me. Nick Cannon is being super weird about Pete Davidson and Kate Beckinsale. Filling in for Wendy Williams, who is out due to health complications, on her show, Cannon said Tuesday that he was the one who counseled Davidson after his breakup with Ariana Grande and told him to try dating older women. “We were having some good conversation. We were having cougar conversations. I taught that young boy well,” Cannon said. Ew! Cannon proceeded to make fun of Grande for her Japanese tattoo, which is plenty embarrassing, but is neither here nor there, in this case. There’s no need to be weird here. Let these two adults explore a mature, consensual, supportive relationship, and leave Grande’s incredibly short-sighted ink out of it.